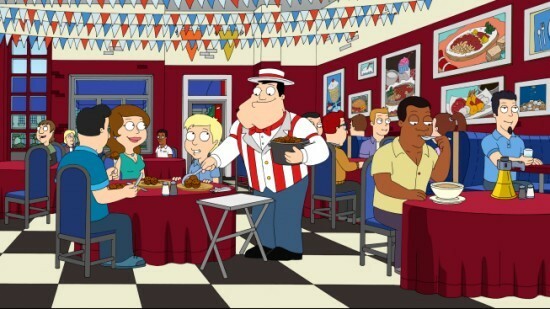 In case you haven’t heard, 50 million Americans are expected to dine out for Father’s Day this weekend. Trying to figure out where to take Dad to eat on Father’s Day? I have you covered. Here are some suggestions of dining deals happening around Tampa on Father’s Day (Sunday June 19, 2011 for those of you who didn’t know). Stump’s Supper Club in Channelside is offering a free appetizer for Dad’s on Father’s Day (with the purchase of an entree). Yamato Japanese Steakhouse has Morgan Chardonnay for $5 down from the usual $17 for Father’s Day. The Yacht StarShip has a Father’s Day Brunch Cruise with tickets selling at $39.95, boarding at Noon on Father’s Day. Father’s get free food and get to bowl for free at Splitsville in Channelside when they come with their kids. Charleys is offering free 24oz Ribeye steak for dads, along with a signature salad and French bread (with a purchase of equal or greater value) on Father’s Day. The Bearded Clam in Sarasota has a buffet with live music for families. $20 for adults and $6.95 for children 10 and under. IKEA is having an all-you-can-eat Father’s Day brunch. $9.99 for adults and children 12 and under are just $2.49. Quite a deal with the amount of things on the menu. Spaghetti Warehouse in Ybor City will be offering free Lasagna or Spaghetti for Dad’s on Father’s Day. No coupon necessary. The Columbia will be open for Father’s Day and is accepting reservations. They have a number of specials for Father’s Day including a Coca de Langosta y Chorizo tapas special and two entree specials: New York Strip Sirloin “The Bambino” and Vieiras y Ibérico “Canarias”. Note: The Columbia Cafe on the Riverwalk will have their usual menu and not be offering Father’s Day specials. Grille 54 has a special Father’s Day menu. They will be opening at Noon on Sunday. Beef O’ Brady’s will give Dad’s a free meal for Father’s Day (with the purchase of an entree of equal or lesser value and a limit of $10, some restriction apply…check with your local Beef franchisee for details). Fleming’s Steakhouse has a 3-course Father’s Day Brunch for $32.95 and you get a free $25 gift card for your father with your purchase. Visiting the Cheesecake Factory for Father’s Day? Print out this coupon for a free cheesecake for every $30 purchase. Valid until 6/28/2011. Even if you aren’t going for Father’s Day print it anyway. Who doesn’t love free cheesecake? Did I miss your restaurant? Shoot me an e-mail to carloseats [at] gmail [dot] com and I will add you to the list.